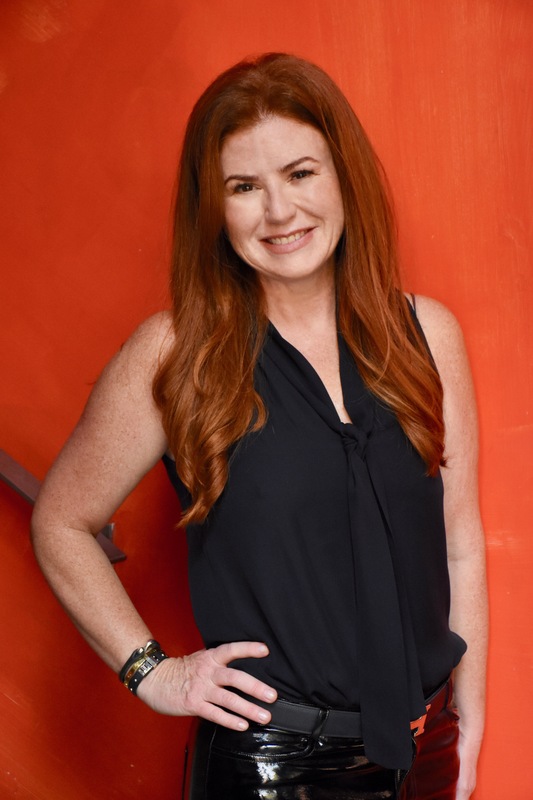 Arizona State University alumna Kara Goldin has been taking the corporate world by storm as founder and CEO of Hint, Inc., a lifestyle consumer packaged goods company focused on pure, wholesome water. Goldin originally wanted to study finance at ASU’s W. P. Carey School of Business. However, she switched to a minor and pursued a Bachelor of Arts in communication from the Hugh Downs School of Human Communication, a unit in the College of Liberal Arts and Sciences, in 1989. After graduation, she worked at different companies such as Time Warner, CNN and AOL. While working at AOL for seven years, she ran the company’s shopping and ecommerce division where she grew its shopping business from startup to more than $1 billion in revenue. Goldin is currently the founder and CEO of Hint, Inc., which she started in 2005. She realized drinks with sweeteners, both natural and artificial, were hurting the health of consumers. Goldin herself has received many awards and titles. She was selected to be one of eleven women for Fortune’s 2011 "Most Powerful Women Entrepreneurs," and one of Ernst and Young’s "Entrepreneurial Winning Women” in 2012. In 2015, Goldin was selected as winner of the Marketers That Matter award for Brand Building Small Company. The Huffington Post also named her as one of six disruptors in business alongside Steve Jobs and Mark Zuckerberg. During her time at ASU, Goldin worked hard to find her own work ethic and learned how to become a sufficient self-starter. Her ability to network and jump into a large crowd without fear is a skill she is proud the university taught her. Goldin has been impressed by how much the university has grown and finds that people who are good at connecting have been able to make it possible. She encourages current students to go out and find motivation for themselves. Ultimately, Goldin hopes to enlighten people to make the world a better place for not only themselves, but for the next generation. For more than three decades, atmospheric scientists have been issuing warnings that carbon emissions and man-made pollution have punctured a hole in the ozone layer, the natural atmospheric layer that protects the Earth from the Sun’s ultraviolet radiation. Recent measurements from a handful of satellites have shown the ozone hole is about 1 million miles smaller in extent that when measured a year ago, showing a positive reverse trend. However, NASA has claimed the majority of the shrinkage occurred due to an unstable and warmer Antarctic vortex. Question: NASA recently announced that the ozone hole is shrinking and is the smallest it has been since 1988. What were some factors that caused that this year? Answer: The continued success of the original international treaty aimed at phasing out the chemical that causes ozone depletion coupled with warmer temperatures in the polar stratosphere — this enhanced the amount of ozone production present. Q: What does this mean for our planet? A: This will lower the risk of skin cancer, lower extinction risk to sensitive amphibians and lower risk of degradation to outdoor building materials and coverings. Q: Which countries would you point to as the biggest offenders in terms of ozone-depleting emissions? How would you compare the U.S. and China in this context? A: The emissions we are talking about are emissions of chlorofluorocarbons and hydrochlorofluorocarbons and related compounds. Biggest emitters: China, South Korea, Brazil, Russia and Venezuela. The U.S. has been very proactive in lowering their emissions of these chemicals. China is catching up in terms of reduced emissions. Q: Does the ozone hole shrinking suggest the possibility that human efforts can influence the direction of climate change? A: Yes, it suggests more than a possibility — it suggests that we can achieve the solution to a large global environmental problem. Q: How optimistic or pessimistic are you about the role that humans can play in responding to the Earth’s climate and the related effects? A: I think action will be insufficient until significant and repeated consequences are “felt” by humans. I would prefer we don’t wait until those consequences occur, but human nature and my observation of the policy process over the last three decades suggests to me that we will not act until real damage occurs. I mean larger, more devastating hurricanes, extreme weather events, large-scale breakup of Antarctic ice, and the loss of land glaciers. What then? We will have to do three things at that point: 1) adapt, which is unfortunate, but necessary 2) mitigate emissions to avoid even more serious damage and 3) deploy "scrubbing" technologies that remove CO2 from the atmosphere. The last need is something that is being researched and currently is expensive and challenging to do at the scale needed. But, as the climate-change damages increase, we will see that cost as smaller compared to the damage cost.